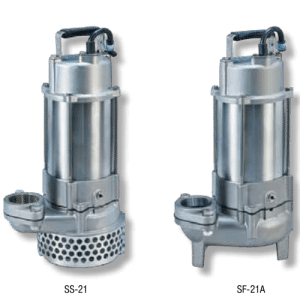 Fastflo stainless steel pumps are robust heavy duty stainless steel submersible pumps for pumping corrosive and aggressive liquids out of sumps. 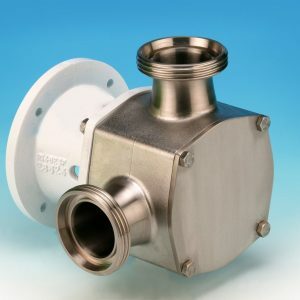 Designed with harsh applications in mind the pumps have investment cast 316 stainless steel volutes, impellers and upper covers, viton orings and a double mechanical seal running in an oil bath (primary seal is hard faced). 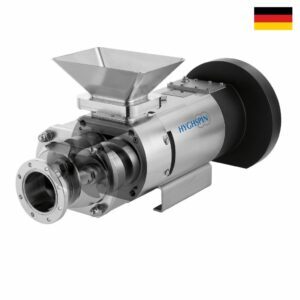 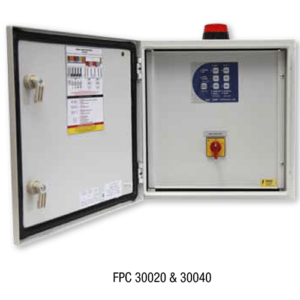 These pumps are suitable for pumping waste containing acids and caustics from food processing factories, sea water, mild acids and caustics and anywhere else a submersible corrosion resistant stainless steel submersible pump is required.